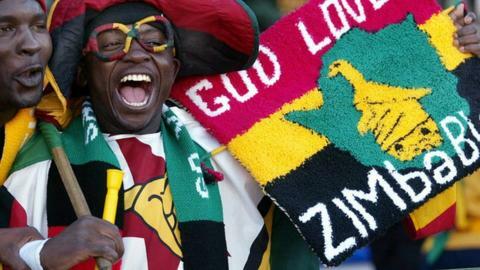 Zimbabwe's new coach Ian Gorowa made a winning start to his reign as the new coach of Zimbabwe but remains cautious about the team's future. Gorowa, who is the third Warriors coach in the space of 18 months, steered Zimbabwe to a 3-0 away win against Mauritius in an African Nations Championship qualifier last Sunday - his first match in charge. But with Zimbabwe having fallen short in qualifying for the 2013 African Cup of Nations and the 2014 World Cup, Gorowa is eager to dampen people's expectations. "Everyone who has come into this job has promised quite a lot so for me I don't want to say something which they haven't heard before," Gorowa told BBC Sport. "We have to work hard towards rebuilding the team and try to get best results we can, the immediate plan is to try to get to the 2015 Nations Cup and try to build and develop youngsters by qualifying for the African Nations Championship." Gorowa has taken over the role from German Klaus Dieter Pagels, whose government-to-government contract expires at the end of July. Pagels was appointed last November, and replaced Rahman Gumbo, who was given the job in February 2012 on an interim basis. Former Dynamos striker Gorowa has spent his entire coaching career in South Africa, where he was in charge of Moroka Swallows and assistant at several clubs, as well as development coach at Ajax Cape Town and chief scout at Mamelodi Sundowns. Gorowa was in Pagels' technical setup as international scout.